I'm not a big fan of foods with coconut in it, except for coconut ice cream. 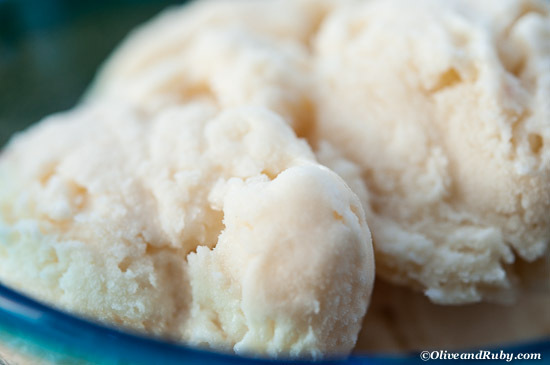 This creamy, sweet treat is just one of many tropical fruits that I periodically make ice cream and sorbets with. On this ice cream Sunday I've taken a page of Grandma Olive's cookbook and made my dad's favourite iced treat. 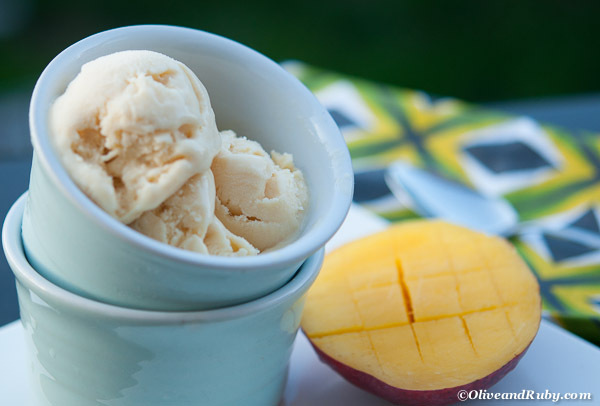 Lots of different tropical fruit are in season, so for this week’s Ice Cream Sunday and World Cup Finale – I decided to make a Mango Custard Ice Cream. I was backing Argentina after Costa Rica got the boot, so tonight I’m consoling myself tonight with scoops and scoops of this sweet treat. Let them eat cake, as long as it's the cake that I made. Every couple of weeks we have a big family Sunday dinner with my brother and his family. It's not a formal dinner but usually the combining of two separate dinners where everyone can usually find something tasty to eat. 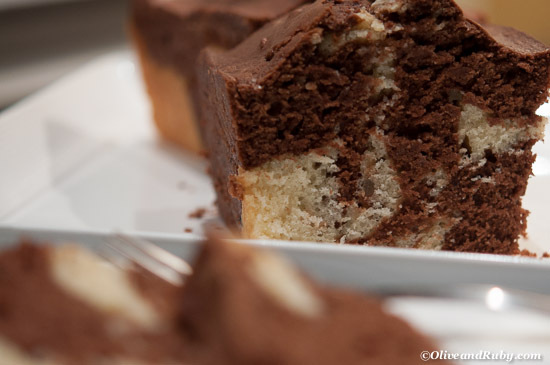 At our last combined dinner I made a chocolate marble cake which both the kids and adults loved. Another hit for Auntie Rhonda - yay!!! I've been hearing a lot about Filipino food recently, even in my neck of the woods - the burbs - Filipino restaurants are popping up everywhere. When the call went out to participate in the McCormick #OnlineCookOff challenge using Filipino inspired spices, I put my hand up wanting to learn a bit more about how to use these ingredients. 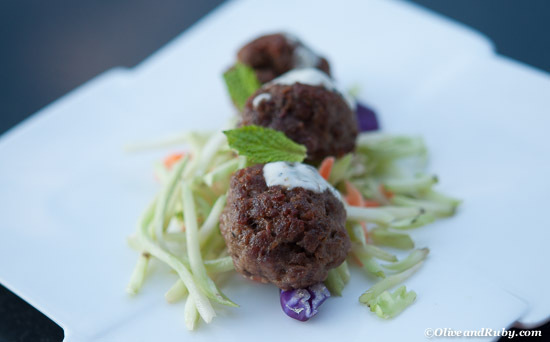 I adapted these lamb meatballs and included some adobo seasoning, and was very pleased with the results.